English style saddle, for all purpose, sidesaddle Suhis brand. In brown. 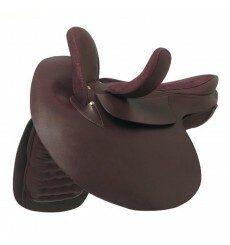 Vaquera Saddle sidesaddle, Ludomar manufacturer. You can choose between smooth shell (not decorated) or spotted (decorated) with a small surcharge. 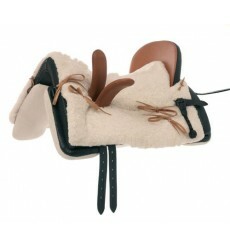 The chair includes shearling sheepskin natural ations stirrup, girth and crupper. The shell can be customized with your initials if you wish. Frame guaranteed for 6 years under normal use. Adult Standard size.